As we rapidly approach everyone’s favorite day in the States… tax day (insert eye-roll emoji), it may be fitting to talk about the “B” word. The dreaded, but very necessary, word of design and decor… the budget! What I’ve found with many of my clients is that this key part of the process is often avoided or unconsciously not thought about when embarking on a home project. I know, I know… wrapping your mind around the reality of a budget is zero fun but it’s super important to think about what the ballpark of your overall spend should be mostly because you don’t want to stretch yourself outside of your comfort zone. Unless you have bags of cash in the closet, then estimating upfront what your furniture budget should be is key. Beyond your total budget, I often tell my clients to think about where you would like your splurges to be and what pieces you’re willing to be super frugal on (or maybe even forego for now). Separating out furniture from art can be helpful as well because while furniture depreciates, art could actually increase in value. Everything from furniture to draperies to rugs to fabrics - it can all feel very overwhelming. So, let’s break out a simple example, a new sofa and lighting may be on the list and you want to splurge on the sofa which means on the flip side you may need to be more economical with lighting choices. There are so many quality sofa options out there to choose from, here are some of my favorites: the Emery by FourHands, the Maxwell by RH and lately I’ve had my eye on this Napa sofa by Poly & Bark in midnight blue. If you’re open to consignment or vintage sofas, Chairish always has gems like this St. Tropez curved sofa in hunter green. Chairish has some steals as well. It’s my go-to online consignment and vintage shop. So now that we’ve splurged on a new sofa, we’ll need to look at some affordably priced lighting options. Outside of local estate sales and consignment shops that are filled with deals, Target is hands down my favorite spot to find quality lighting at a great price. 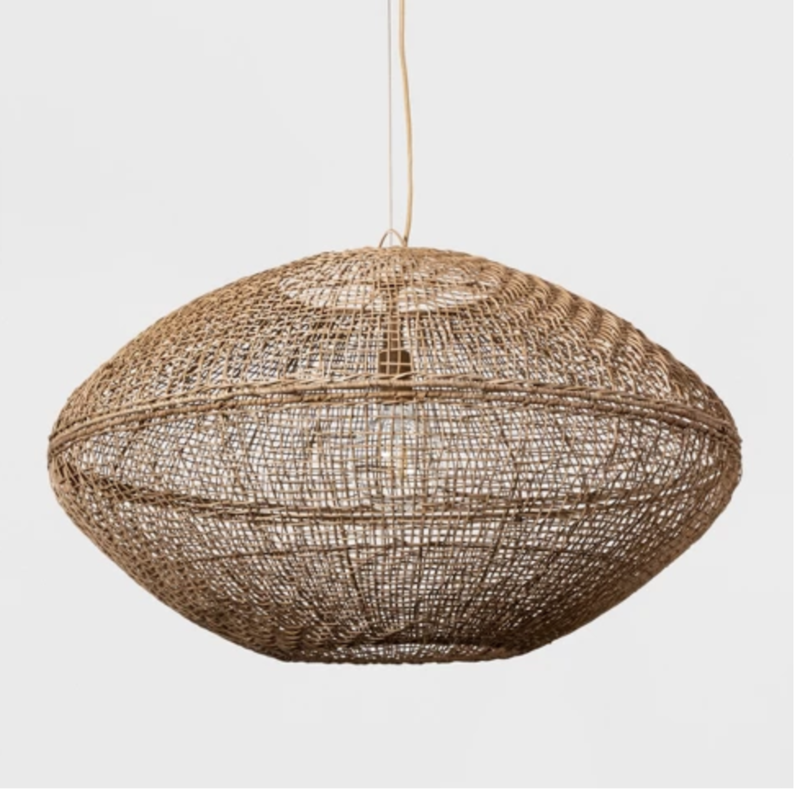 Right now, the Project 62™ + Leanne Ford Lighting Collection has all of my attention like this metal dome floor lamp and this natural woven pendant light. These are stunning modern lighting options for killer prices! Whether you’re working with a designer or tackling the project on your own, defining what you are willing to spend as well as noting key pieces of investment will help set expectations not only with your designer but with yourself (and maybe your sig other). Don’t dread the thought of your budget, you will only feel better about your home and space when you tap into your personal spending options! Designing a room, or a home, will require a massive budget is a total MYTH! Creativity has no limits when it comes to designing a beautiful space. Need not be discouraged my friend, just make sure you are on the same page with your own spending upfront at the start of the project and track ongoingly. This will help significantly with the path and decision-making of every element that goes into your space.